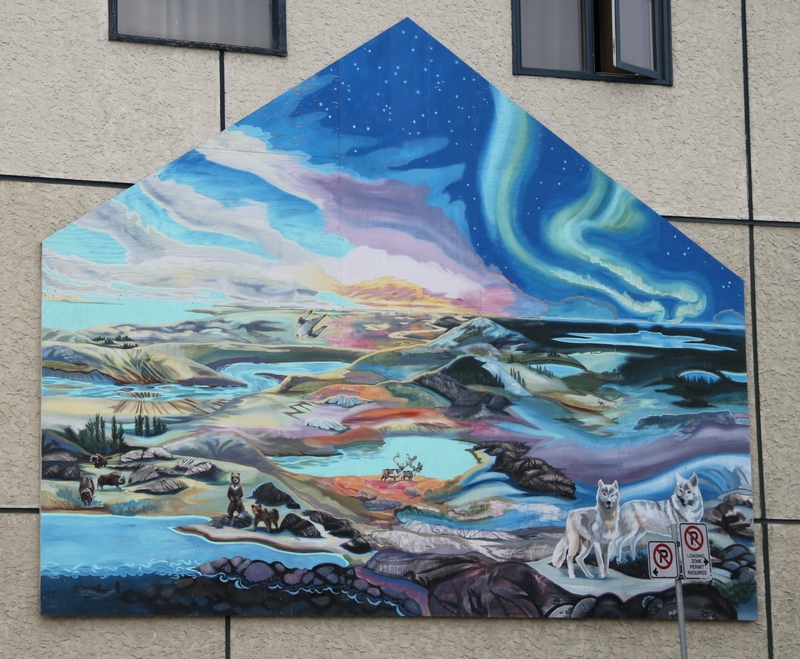 This work is one of many that are found on the exterior of buildings in Yellowknife. This work is painted on several pieces of plywood nailed together. The image includes a landscape with spring on the left and winter on the far right. The winter sky shows the aurora borealis. Animals include muskoxen, caribou, bears and wolves. At the top left, painting is beginning to lift along the grain of the plywood.